When your ultimate adventure becomes your ultimate nightmare. If you're into deep sea diving conspiracy thrillers, then we've got the perfect film for you. 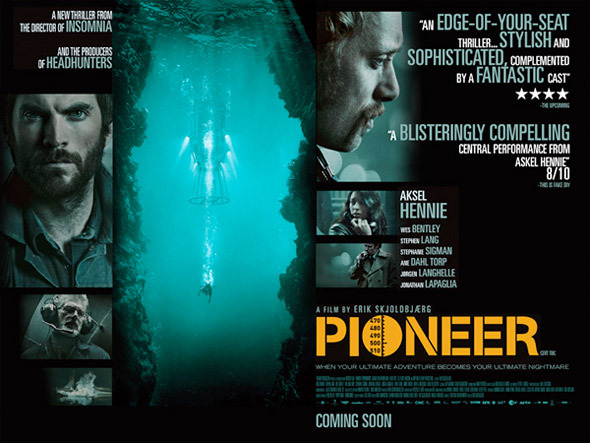 Titled Pioneer, this Norwegian thriller is about a team of divers who were part of risky experiments at the start of the Norwegian oil-drilling industry in the early 80s. The cast includes Aksel Hennie plus Wes Bentley, Stephen Lang, Jonathan LaPaglia, Stephanie Sigman and Jørgen Langhelle. The film already premiered in Europe last year and has been waiting for a US release, however io9 has debuted a new US poster and we thought it was worth sharing to bring some attention to this interesting little film. I'm intrigued by all the imagery, but I'm not sure if it'll be any good. Here's a photo from the film as well as a UK quad version of the poster to add to the official US one above. 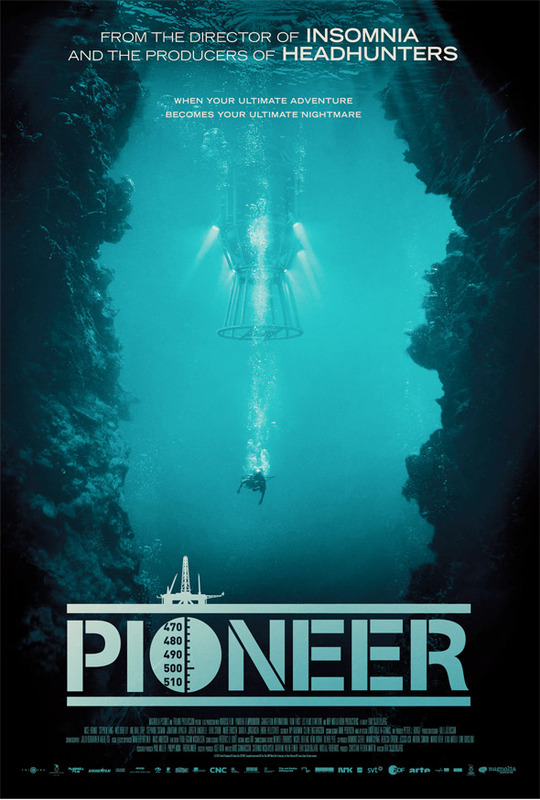 Pioneer is set in the early 1980's, at the beginning of the Norwegian Oil Boom when enormous oil and gas deposits were discovered in the North Sea. 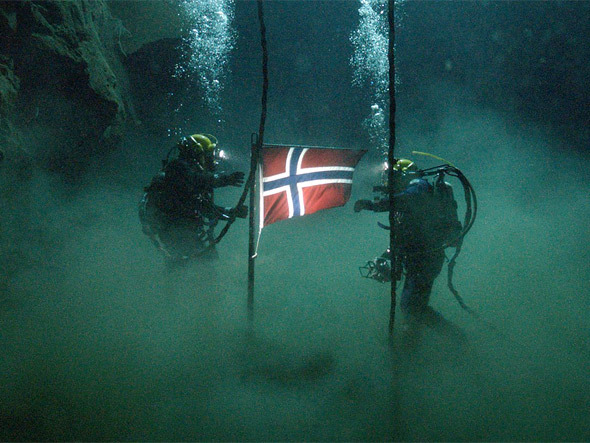 Authorities aim to bring the oil ashore and Petter (played by Aksel Hennie), a professional diver, has the discipline, strength and courage to take on the world's most dangerous mission. But a sudden, tragic accident changes everything. Petter is sent on a perilous journey and gradually, he realizes that he is in way over his head and that his life is at stake. TIFF 2013 premiere. Pioneer is directed and co-written by Norwegian filmmaker Erik Skjoldbjærg, of Insomnia, Prozac Nation, An Enemy of the People, and Nokas. The conspiracy thriller is based on a true story in the early 80's, the beginning of the Norwegian Oil Boom. Still doesn't have a US release, but plays at San Francisco Film Fest. Why did they include the "8/10"? I totally get that is not a bad review, but why include something that is not 10/10, and completely enthusiastic? This sounds pretty cool, I wish there were more deep sea thrillers.